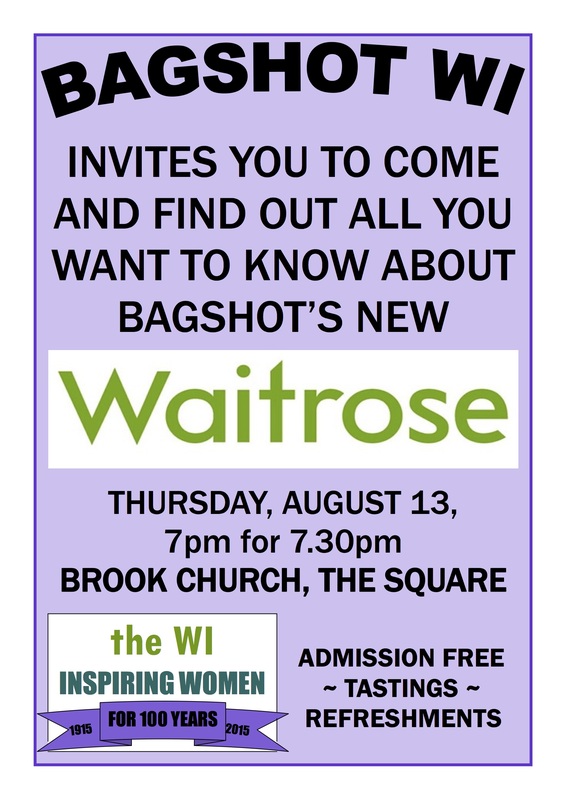 Bagshot WI invites you to come and find out all you want to know about Bagshot’s new Waitrose store. Thurs Aug 13th at 7pm for 7:30pm at Brook Church, The Square. Admission Free – Tastings – Refreshments.